1. 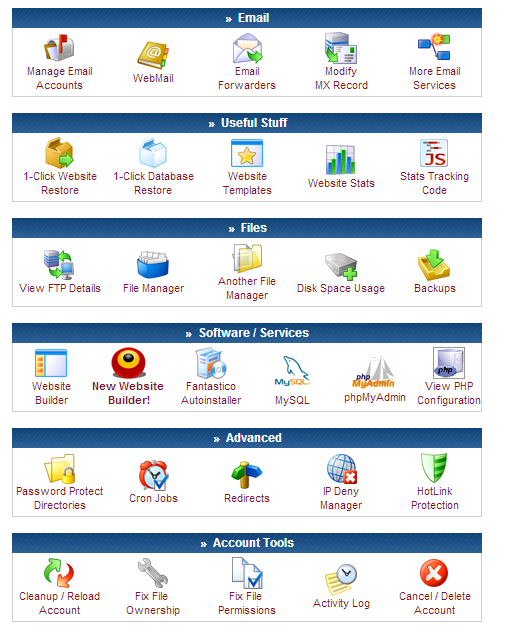 Browse to the url http://www.000webhost.com/free-php-hosting. 2. Click on the sign up button shown on the home page. 3. 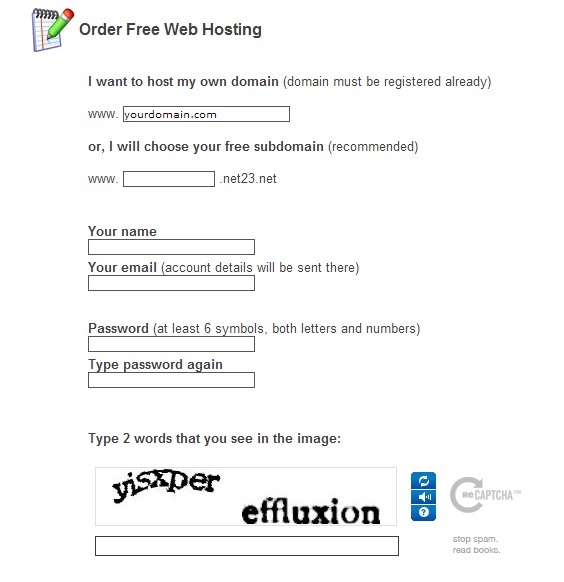 This will display the form as shown below choose the free domain option and enter the name for your sub domain. Try to make it unique as the website will validate that if it is avilable or not. Enter your full name, email address and set the password. Enter captchas and press the “create My account” button. 4. As soon as you press the button, you will receive a confirmation email with a URL. You have to click on the URL. The website will setup your account. 5. Once the your account is created, you can visit the sub domain that you entered in step 3 and you will be shown the default page as shown below. 5. Once your account is created. You can login into the member area by providing the username and password that you provided in step 3. 6. Once you login into the member area, you will be able to control various aspects related to your website through the control panel. In the next articles I will show you how to use these options to build your custom professional website using PHP and MySQL. In the meantime Happy Coding.